[한국어는 아래에..] SoftBank envisions an AI-driven future and funds technologies that contribute to “the betterment of humanity.” At SoftBank Ventures, we invest in applications of Artificial Intelligence across various industries, but none is perhaps more ready for AI-driven transformation than biopharmaceutical research and development. And no application of AI is more fundamental to human betterment and happiness than curing and preventing diseases. 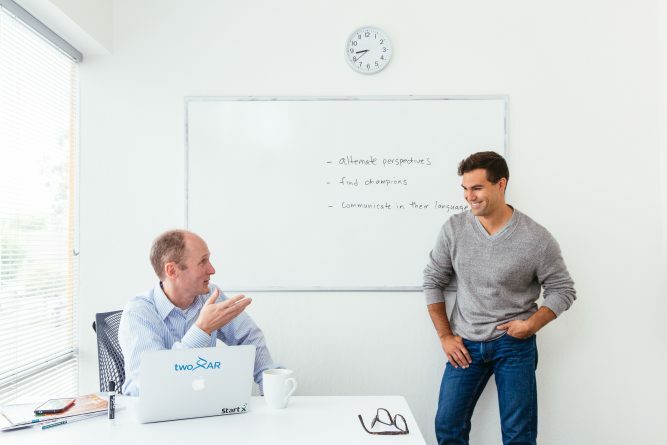 twoXAR, a software-driven biopharmaceutical company based in Silicon Valley, is a prime example of how AI-driven approaches are revolutionizing the drug discovery process, and we are proud to lead their $10 million Series A Financing. The enormous cost associated with drug development is one of the biggest challenges for biopharmaceutical companies. It typically takes an estimated cost of over $2.5 billion and more than a decade to develop and test a drug candidate, according to the Tufts Center for the Study of Drug Development. Moreover, less than 10% of all drugs that enter pre-clinical trials ever make it to human testing. twoXAR offers a solution to this problem: they are leveraging software to uncover novel disease biology and identify compounds to validate these hypotheses. The key enablers to the success of AI in drug development have been the vast amount of data available in the public health domain combined with the advances in cloud computing and processing algorithms. With the advent of big data, a wealth of information such as clinical studies, health records, genetic profiles, drug libraries, etc. is readily available to use in drug development. However, the amount of data accessible is so overwhelming that even a large team of researchers is unable to process the scientific data arriving on a daily basis in their area of investigation, let alone discoveries in another field which may have implications in their field of research. AI, on the other hand, is very well suited to dealing with laborious tasks that handle large amounts of data and are traditionally very time-consuming for people to perform. Using aggregated data from various sources, AI can thus correlate new information with existing data and discover relationships in those data sources, thereby turning complex data into unbiased, actionable knowledge. twoXAR’s technology screens libraries of drug candidates and identifies the ones with the highest probability of being efficacious to treat a given disease. These drug candidates can then be tested in vivo, forming the basis for a new drug program. 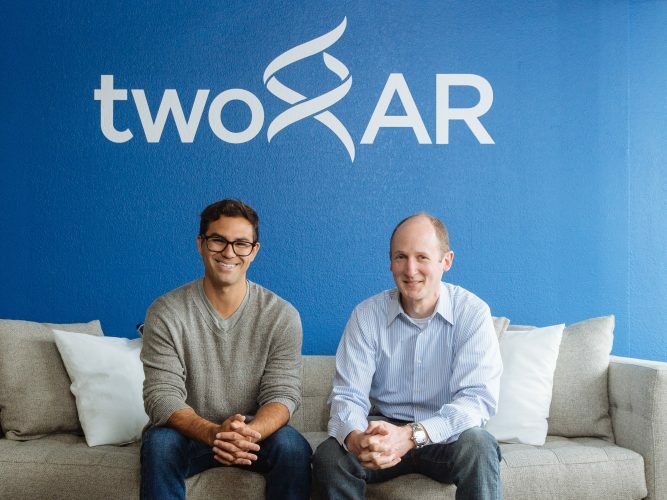 Rather than positioning its platform as a tool or service, twoXAR is partnering drug programs with biopharmaceutical companies, drug development teams, and life science investors. Moreover, twoXAR is uniquely positioned to launch a portfolio of drug programs since their technology can accelerate the drug discovery process across hundreds, if not thousands, of diseases. In science-driven industries, validation is all about empirical evidence, not hype. The twoXAR team has already established a number of collaborations with global biopharmaceutical leaders and demonstrated how candidates identified by their technology translate to successful in vivo studies across very different diseases. 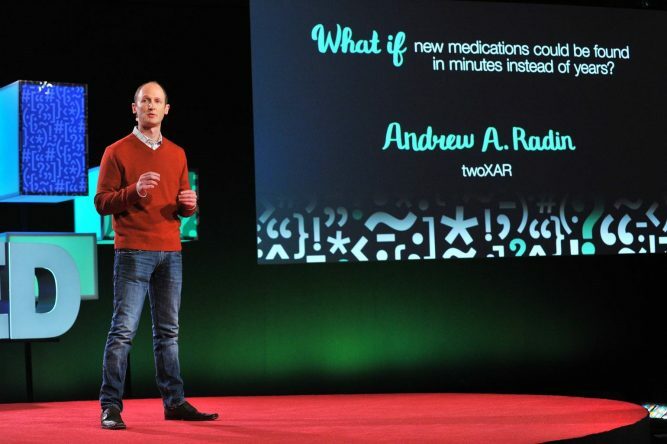 twoXAR has the potential to transform the identification of new drugs and to dramatically improve the success rate of bringing new medicines to patients. We are excited to welcome the twoXAR team to the SoftBank family and we look forward to supporting them as they bring drug discovery into the next stage of the Information Revolution. 소프트뱅크그룹은 인공지능이 열어갈 미래의 모습을 그리며 ‘인류의 발전’에 기여할 수 있는 기술에 투자하고 있습니다. 이에 소프트뱅크벤처스에서는 인공지능이 활용되는 다양한 산업에 투자하고 있는데요, 그 중에서도 바이오 의약 연구 개발 영역은 AI가 이끄는 변화가 가장 활발히 일어나는 분야입니다. 또한 질병을 치료하고 예방하는 것만큼 인공지능 활용이 근본적으로 인간의 삶을 향상시키고 행복하게 만드는 분야는 없다고 봅니다. 투자아는 실리콘밸리에 위치한 소프트웨어 기반의 바이오 의약 스타트업으로, 신약 개발 과정을 인공지능 기반으로 혁신해 나가는 훌륭한 사례입니다. 소프트뱅크벤처스는 이번에 투사에 1천만 달러(약 100억원)의 시리즈A 투자를 한 것을 자랑스럽게 생각하고 있습니다. 바이오 제약 회사들이 직면한 가장 주요한 문제들 중 하나가 바로 신약 개발 과정에서 엄청난 비용이 소모되는 것입니다. Tufts 신약 개발 연구 센터(The Tufts Center for the Drug Development)에 따르면, 통상적으로 신약 후보 물질 개발과 실험을 위해 10년 이상의 기간 동안 약 25 억 달러가 넘는 비용이 들어갑니다. 또한 임상 전 단계에 진입한 후보 물질들 중 10 % 미만만이 실제 사람을 대상으로 실험하는 임상 시험 단계를 거치게 됩니다. 투자아는 자체적으로 개발한 소프트웨어를 활용하여 새로운 질병 생물학을 밝혀내고, 신약 개발을 위한 가설을 검증하여 바로 이 문제에 대한 해결책을 제시합니다. 신약 개발 분야에서 인공지능을 성공적으로 활용하려면 클라우드 컴퓨팅과 알고리즘 처리 기술이 발전해야함과 동시에, 공공 의료 영역의 방대한 데이터를 활용할 수 있어야 합니다. 빅데이터의 출현으로 임상 연구, 환자의 진료 기록, 유전 정보, 의약품 라이브러리와 같은 풍부한 정보들을 신약 개발에 활용할 수 있게 되었습니다. 그러나 이용 가능한 데이터의 양이 너무나 방대하여, 규모가 큰 연구팀이라도 그들의 연구 분야에 통찰을 줄 수 있는 타 분야의 발견에 대한 자료는 고사하고, 일 단위로 제공되는 연구 분야 데이터들을 처리하기도 어려운 실정입니다. 하지만 인공지능을 활용하면 대용량 데이터 처리 및 사람이 직접 하기에는 매우 긴 시간이 소요되는 까다로운 데이터 작업을 수행하기가 매우 용이합니다. 인공지능은 다양한 출처에서 집계된 데이터를 활용해 새로운 정보를 기존의 정보와 연결하고 상관관계를 발견하며, 복잡한 데이터들을 편견 없이 실제 적용 가능한 지식들로 변환합니다. 투자아가 개발한 기술은 신약 후보 물질 라이브러리를 스크리닝하여 특정 질병에 대하여 치료 가능성이 가장 높은 물질을 판별합니다. 이렇게 걸러진 신약 후보 물질들은 임상 단계에 진입해 사람 생체 내 실험이 이루어지며, 신약 개발 프로그램의 기반이 됩니다. 투자아는 자체 플랫폼을 신약 개발을 위한 툴이나 서비스로 포지셔닝 하는 것이 아니라, 직접 제약회사들이나 의약품 개발 팀, 생명 과학 분야의 투자자들과 신약 개발 프로그램을 제휴하고 있습니다. 또한 투자아의 기술을 활용하면 아직 수천 단위 까지는 아니지만 수백 가지 질병을 치료할 수 있는 신약 후보 물질 발견 프로세스의 속도를 획기적으로 단축할 수 있어, 신약 프로그램 포트폴리오를 출시 할 수 있는 유일한 기업으로 발돋움이 가능한 위치에 있습니다. 과학이 이끌어가는 산업 분야에서의 검증은 추측이나 과장이 아닌 경험적 근거에 의해 이루어져야 합니다. 투자아 팀은 이미 글로벌 제약회사의 리더들과 협력을 구축하고, 자체 기술로 다양한 질병 분야에 대한 성공적인 체내 임상 연구들을 진행하여 신약 후보 물질들을 발견하고 우수성을 입증하였습니다. 투자아는 기존의 신약 개발 프로세스를 변화시키고, 환자에게 필요한 새로운 의약품 개발의 성공률을 획기적으로 향상시킬 수 있는 잠재력을 가지고 있습니다. 투자아 팀을 소프트뱅크그룹의 가족으로 맞이하게 되어 매우 기쁘며, 신약 개발 분야에서의 다음 단계의 정보 혁명을 이룩하기 위한 투자아의 시도들을 적극 지원할 예정입니다. 투자아의 두 공동창업자 이름이 같다는 사실을 알고 계셨나요? 투자아는 전혀 모르던 사이였던 두 명의 앤드류 레이딘(Andrew Radin), ‘앤드류 A. 레이딘 대표’와 ‘앤드류 M. 레이딘 CMO’이 만나 창업한 회사입니다. twoXAR라는 사명은 두 공동창업자의 이니셜을 따 두 명의 앤드류 레이딘 two x AR, 즉 two times AR이라는 뜻을 담고 있습니다. 어느날 앤드류 A. 레이딘은 믿을 수 없는 이메일을 한 통 받게 되었는데요, 자신과 같은 이름을 가진 사람이 그가 가지고 있던 “andrewradin.com” 도메인을 사고 싶다는 내용이었습니다. 이후 몇통의 이메일을 더 주고 받게 된 두 사람은 페이스북 친구가 되었고, 서로가 과학과 기술, 사업 영역에 공통의 관심을 가지고 있다는 사실을 알게되었습니다. 3년 정도의 시간이 흐른 후, 앤드류 A. 레이딘은 미국 MIT 대학교의 MBA 과정에 재학 중이던 앤드류 M. 레이딘의 수업에서 기업가정신을 주제로 강의할 기회가 생겼고 두 사람은 처음 서로를 직접 만나게 되었습니다. 이것이 바로 투자아의 신약 개발을 위한 여정의 시작이었습니다.